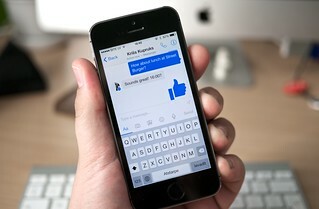 Facebook mobile app users will have seen prompts to download the standalone Facebook Messenger app since April. Now, resistance is futile. 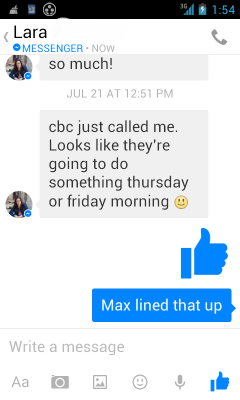 Messages will be removed from the Facebook mobile app any minute. People who like to use Facebook to send messages from their phones are now required to download Facebook’s standalone messenger app. This applies to both Android and iOS. The change underlines the social network’s strategy to monetize the service. On last week’s earnings call, Mark Zuckerberg said the goal was to turn Messenger into ‘an important business’. Facebook says that shift will allow both mobile applications to work more efficiently. Currently, mobile users outnumber Messenger users by five to one. At the time of the deal it was announced that the two messaging apps would continue to operate as standalone applications. This has not changed as a result the push of messaging users from Facebook’s mobile app to Messenger. The WhatsApp’s brand is continuing to be maintained; its headquarters remain separate from Facebook’s. I’m not sure I’m going to download messenger at all. Will I suffer an irretrievable loss? Doubtful. Probaby not Bob. But I use the chat function a lot!